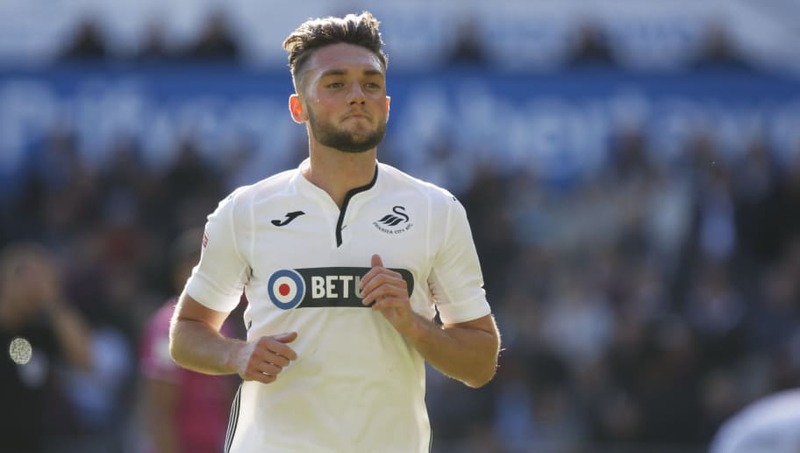 ​Swansea midfielder Matt Grimes has signed a new long-term contract which will keep him at the Liberty Stadium until 2022. Grimes' current deal was set to expire at the end of the season but he has been rewarded for his form in the early months of the campaign with another three years. Announcing the news on ​their official website, Swansea claim that Grimes has been 'one of [our] most consistent performers this season'. Graham Potter's team sit just three points off the play-off places after 16 games. Grimes joined the Swans from League Two Exeter in January 2015 but initially struggled to win his place in the first team. After making just one Premier League start in his first 12 months in South Wales, he was sent on loan to ​Blackburn in February 2016. He then spent a year on loan at ​Leeds and another year on loan at Northampton before finally getting the chance to prove himself on a consistent basis after ​Swansea were relegated to the Championship and Potter was appointed manager. Playing as either a left back or a central midfielder, Grimes has featured in all but one of Swansea's 17 matches so far this season. The 23-year-old has been capped at youth level for England, winning 12 caps for the Under-20 side and four for the Under-21 side, though he has not yet been capped at senior level. Grimes follows in the footsteps of Joe Rodon and Jay Fulton by signing a new contract at the Liberty Stadium.